Apple has launched huge number of smart phones in the market including iPhone 6 and iPhone 6 Plus, and it is difficult for everyone to know how many millions of the handsets have been sold. Consumer Intelligence Research Partners released a report showing their effort to estimates of the sold out units of the smart phones. 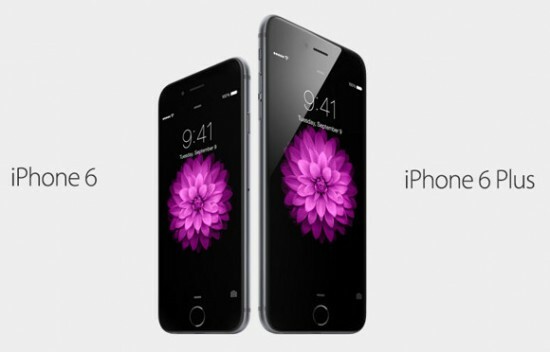 It has been revealed that iPhone 6 is sold three times more than the iPhone 6 Plus. The handset, iPhone 6 has the 4.7” screen and it is selling better even in US. It has been estimated for the first 30 days of the launching of these two smart phones in the market that the sale of iPhone 6 is approximated to 68% of the whole sale while iPhone 6 Plus is sold in the market with the share of only 23 to 24%. The sale of these two new and latest iPhones was around 91% of the whole sale of the iPhone in the market for the whole month and the remaining 9% of the remaining smart phones like iPhone 5S and iPhone 5C. In the previous years, these two smart phones, 5S and 5C were launched in the market and these were the latest smart phones of the company, which showed the 84% of the total sale of the smart phones in the first month after its launching. This comparison shows that how bigger these smart phones are than their predecessors. The people and researchers determined the average storage capacity of the smart phone which iPhone 6 has and during first month of its sale. They found that this smart phone has the storage capacity of 48 GB and it has been doubled than the last year. This smart phone is provided with excessive storage capacity than its predecessors, who have only 32 GB. Now the customers can find these smart phones, iPhone 6 and iPhone 6 Plus with 16, 64 and 128 GB.